Experienced commercial property sales team with strong accounting and negotiating skills. Maximize ROI when buying property. Whether you are buying an investment property or are looking for a more suitable property for your company’s use, we take the time to fully understand and appreciate your specific needs. Every company’s occupancy and site selection needs are different. The property should be a fit in terms of price, location, uses, and investment required. As a result, we bring you only properties that are truly a good fit. We work with you to determine your business objectives, including factors such as how much you can afford to pay, whether you are looking to rent the space after purchase, whether other properties of similar size are available, and more. We also help you learn about the local area by providing details on comparable properties and emerging trends so you can determine if the location is a good fit or investment. At Douglas Commercial, we are a team experienced in commercial real estate purchasing. Our accounting background gives us an edge when doing the due diligence needed to produce sound financial decisions. We help make the complicated economic terms such as Loan-to-Value (LTV), Cash on Cash, and Vacancy Rate, for example, easy to understand and can answer questions you have as often as needed. There are a number of ways to purchase and finance commercial real estate projects. Debt and structured financing of a property is complicated. 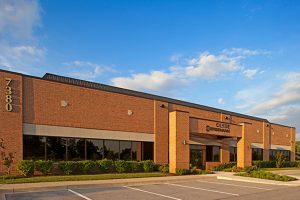 Douglas Commercial uses best practices to find the right property, do in-depth analysis, negotiate with property owners, and obtain the best possible deal and also work with your own trusted advisors. Have questions about investing in commercial real estate?